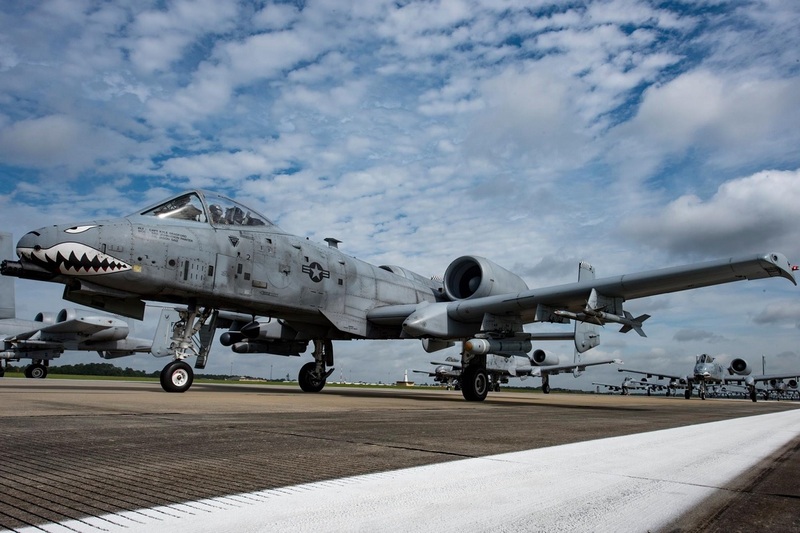 Taken on May 22, 2017 the cool pictures in this post feature aircraft from the 23d Wing conducting a surge exercise at Moody Air Force Base (AFB), Ga. 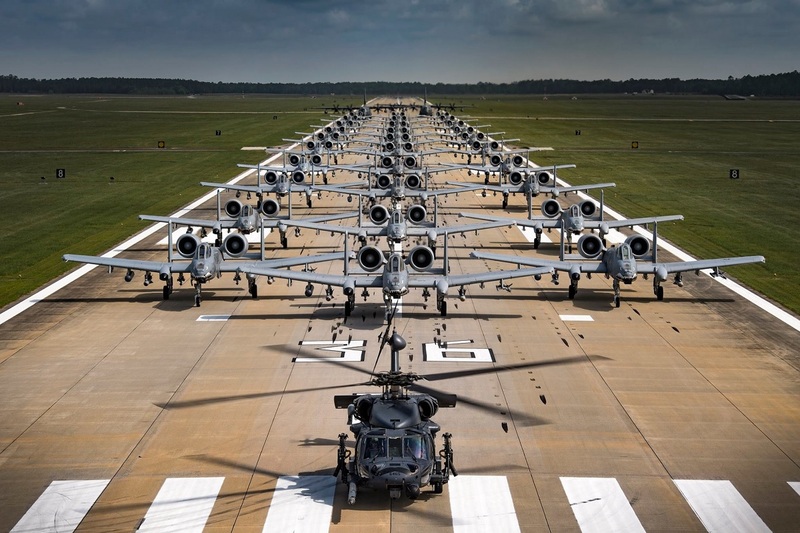 The drill, which was performed to demonstrate the wing’s ability to rapidly deploy combat ready forces across the globe, also included a typical “elephant walk” carried out by one HH-60G Pave Hawk, two HC-130J Combat King IIs and 30 fully armed A-10C Warthogs. 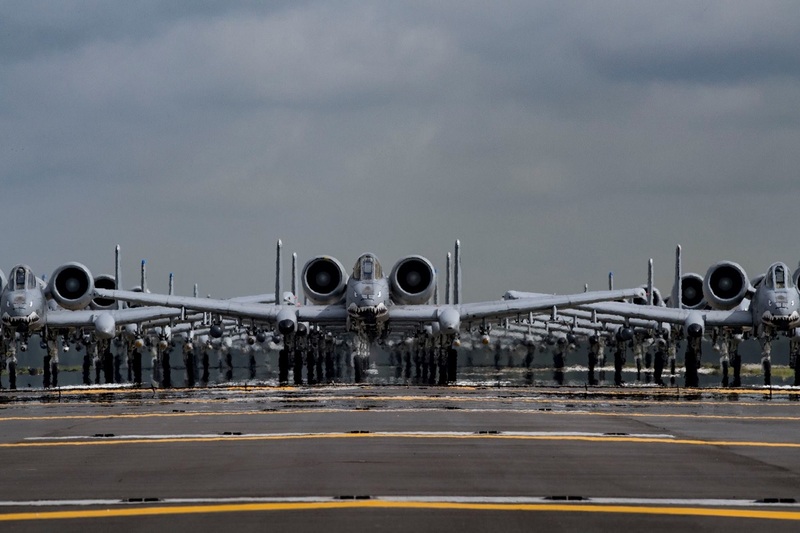 An elephant walk is a U.S. Air Force (USAF) term referred to the taxiing of military aircraft right before takeoff, when they are in close formation. Often, it takes place right before a Minimum Interval Takeoff (MITO). The term elephant walk dates to World War II when large fleets of allied bombers would conduct attacks in missions containing 1,000 aircraft. 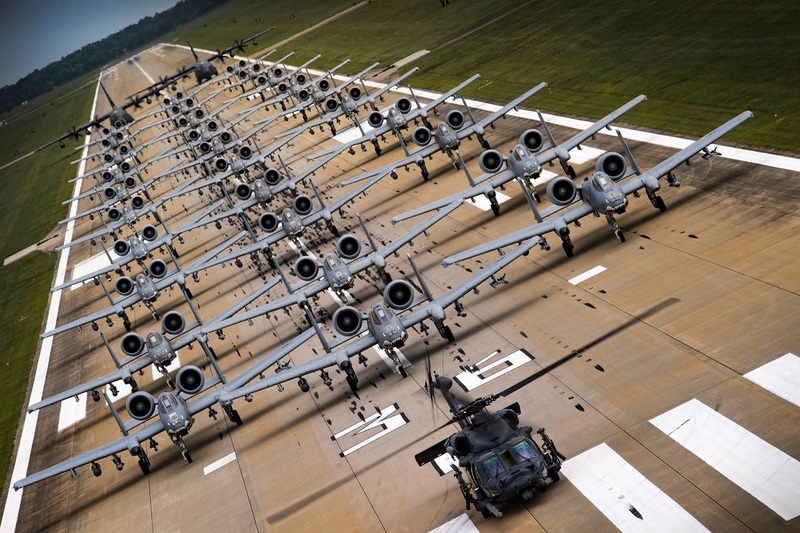 Those who observed this said that the taxiing of these large numbers of aircraft to takeoff in single file in nose-to-tail formations looked like elephants walking to the next watering hole. Over time, it was incorporated into USAF lexicon to identify a “maximum sortie surge”. The benefits of an elephant walk include being able to show the capability of the units as well as teamwork. 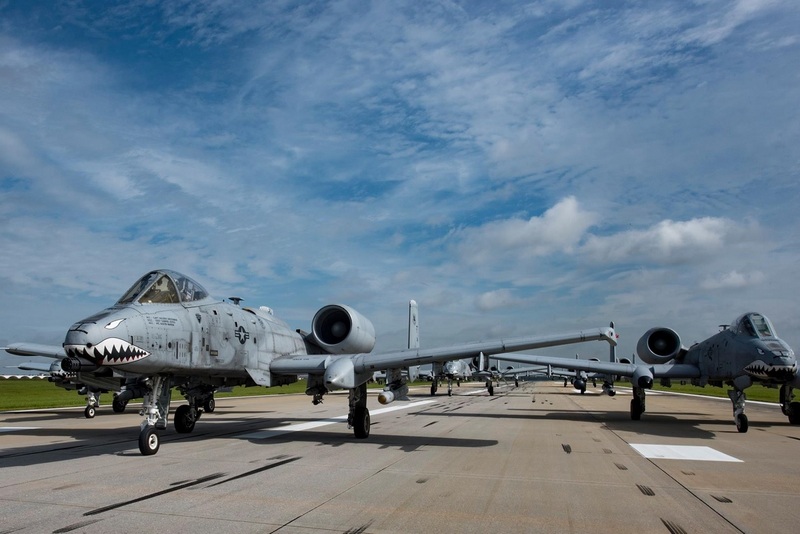 It is often performed to prepare squadrons for war time operations, as well as prepare pilots for the launching of fully armed aircraft in one mass event.